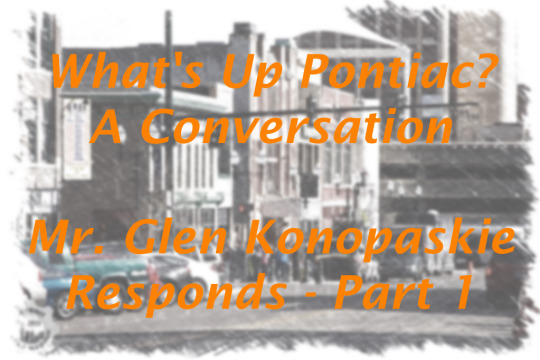 Detroit Metro Mashup would like to thank Mr. Glen Konopaskie for his thorough responses to many of the questions posed in our blog post, What’s Up Pontiac? A Conversation (found below his response). This is Part 1 of his response and he has assured us he will address the other questions and concerns in future correspondence, which we greatly appreciate. Although invited to respond, we have heard nothing back yet from Mayor Waterman’s office. Detroit Metro Mashup posed the original list of questions and, at this time, we are taking no official editorial position on the responses. I will say we are happy that people are working to bring Pontiac back to a place of prominence! Business LicensingThis question covers a massive breadth of items but I will do my best. A lot has changed since 2011, and continues to change as Pontiac prepares to adopt it’s fiscal budget starting July 1, 2015. Pontiac continues it’s business attraction activities, re-focuses on economic and community development, and it’s financial position stabilizes for the first time in awhile. The Pontiac Downtown Business Association (PDBA), a 501c6 non-profit organization leveraging about 12,000 volunteer hours per year for downtown with a small staff, has been working on these related items for over 4 years with the City in monthly meetings and we have seen significant positive changes when specific issues can be identified, walked through, and then evaluated to understand where the process failed. 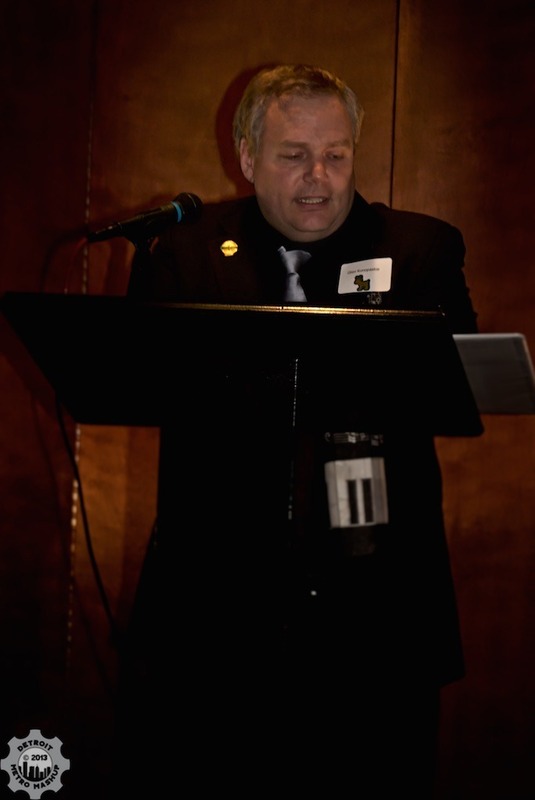 Some of the road blocks were identified in the meeting with solutions implemented within weeks, while others are tied to the City’s financial positions, legal issues, lack of man power or other items that have taken longer to understand, solve, and find unique solutions before things could move forward. The new, easier business license forms, process, and new inspection pricing structures are all examples of these new smoother processes. As for permitting and fee structures, those also continue to be worked on and are directly tied to the City’s financial position, but these have been getting adjusted as on going evaluations are made by the City Administrator and Wade Trim (the City’s contractor). The City has been working on these for years with Wade Trim and we hope to see items in the next City Budget which goes before rTAB (receivership Transition Advisory Board) in June. Many of the issues I hear now from the public are older than 2013, are specific to individual inspectors (these have been addressed as far as we know) or are not uncommon to hear in any other City. With that said, there is still more work to do. But without very specific examples of current issues, it is hard to review the process and people to identify where the bottle neck or problem really lays. Honestly most issues now seem more like customer service or items directly related to the City’s financial position rather than process failures. As to food and liquor permits, I have not dealt with these directly. I was pulled in to address issues that a business was having with City permitting only to find out the issues were valid and they were with the Health Department and not a failure with a City process. As to general permitting, this runs the gamut. Our city has been the County Seat since January 5, 1819… we have some very OLD buildings in our city and downtown, and when you do a change of use (say from office to cafe) then renovations can be expensive, complicated, and that’s the building, not necessarily the City. Working on old, and especially historic buildings requires special understanding related to financing options and the extra issues that have to be dealt with for older buildings, which ‘new’ construction does not have to address. I do hear many times where an owner runs into trouble due to this lack of education, from permitting to execution, which have created safety issues or “problems” with the City when the job was shut down until permits or city reviews could be done. As to corruption, I had to ask around on this since I have not seen any corruption since I started in late 2011 and everyone I work with that I talked to agreed they could not call out a single issue in recent memory. I have seen a lot of good people trying to put proper systems in place and I have seen the significant constraints due to the City’s financial position. As for understaffing, the City does only have 25 employees and the rest are contractors. We run into issues related to this constraint constantly at our monthly meetings, sometimes our volunteers can help out, or other creative solutions are developed, but many times there is no forward solution due to manpower. The “contractor” aspect adds a new dimension of complexity within City Hall in my opinion, and the state-appointed rTAB has final say on new hiring to ensure fiscal responsibilities are being followed, but I will let our Mayor fill this in more. The City is getting more business friendly and, once all aspects of the City embrace the One Stop Ready program and finish implementing it and the new Master Plan, then we will be where we need to be to fully compete with other Cities. The course is right and change does not come over night, we must stay vigil to ensure execution, and the City will continue the improvements as we continue building the new foundation to set up for long term success. If you find a problem, report so it can be properly logged, tracked and reviewed. We cannot come out of such a rough state of affairs in only a few years, but major changes, the right changes, are occurring. I cannot respond to rumors on those tenants since we received no such complaints. We do have a lot of buildings purchased with owners not taking care of the building, not removing the graffiti, not shoveling snow or sweeping their sidewalks and generally disrespecting our downtown, and the City does not have the manpower to ticket these Ordinance Violations. At the same time we have more flower pots, washed windows, cleaned sidewalks, mulched flowers and trees down here than we have had in years! So there are successes, but it’s taking time. Talking with the building owners and realtors is very frustrating. City ordinances do not provide the teeth for the City or the PDBA to be aggressive to force the respect to the community. But in the past, and now again there are ways to apply pressure, find work arounds, or get approval to do their work for them. This is one of the biggest constant running discussions we have with the City, and with other downtowns across the County, State and Nation as we look for new ordinances to implement as well as alternative solutions. We have had, and continue to have many successful remodels going on creating $3-$20M invested in downtown each year from the private sector, so as the saying goes, where there’s a will there’s a way. But money or time is always the key road block, and for the City’s part they are still working on their items. At the same time the first commercial Painted Lady will be restored to our downtown this spring returning the original beauty of a 1868 piece of history. And we have a lot of history in this great city, and sadly that makes restoring these buildings complex and costly at times. You can’t buy them, demo and rebuild, but rather you have to research, restore and abide by historic rules, historic tax credits, etc, which is where the Pontiac Historic District Commission comes into play. 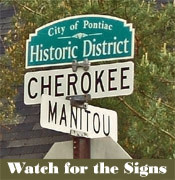 We have 7 historic districts in Pontiac, with downtown being one of those. Also, many of our downtown buildings are not used for their original purposes any more, former restaurants are turned into business offices as well as former stores. Trying to fix that is not an easy task which takes time as we rebuild our downtown back into the vibrant arts, cultural and entertainment center of the City. 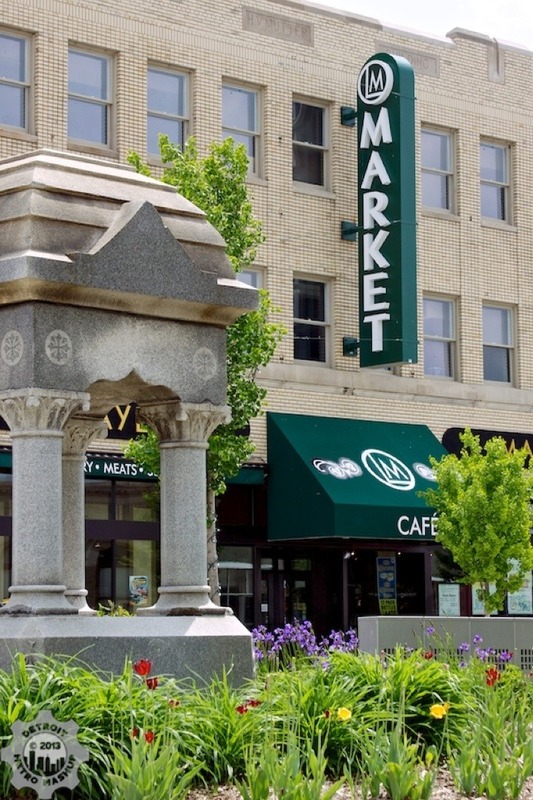 As part of Oakland County Main Street, our downtown is promoted across the County, and we have feet on the ground in Lansing and Washington DC, as well as state, national and international conferences. Also, as the City, County, and PDBA work together on the steering committee for the city recovery plan, we are ensuring the input from our City residents, stakeholders and businesses are properly represented in the final draft of the EDA-funded Pontiac Economic Recovery Plan. Once completed, at the end of May 2015, you will see the key things the City will focus on as we move forward in the recovery. The PDBA has already being working on a majority of those items for years in the downtown and you can see our changes. But here again it comes down to focus, planing/execution, manpower (both staff & volunteer) and money. This plan is not the nuts and bolts, it’s the key areas we need to focus on, and it will still come down to non profit organizations, and for-profits companies working with the City as partners in this recovery. Like all these questions this is complex. I do not have the answer, as we have fought many battles with the utilities and City over who is responsible and what code, ordinances, or laws could be used to hold these individuals responsible. And, like in the case you stated, we never got anywhere with the City since it was not the City’s issue to address (they are not the Health Department). But I will say what I tell everyone, if you see a problem, report it to the City so it can be registered, tracked, and reviewed. Most of what is going on we as a community are allowing by never calling it out or reporting it to the City to take action. As to the core issue that allowed the electrical failure, that again was done before DTE took over the electrical grid in the City of Pontiac, from my understanding. And we still do not understand how to enforce the closure of that conduit that allowed the flooding. This issue should have been addressed by health codes, we all agree, but I cannot explain why it was not. The City of Pontiac I believe currently has 3 code enforcement officers, but the Health Department is not a City item. (It’s either County or State, offhand I forget at the moment). The overall plan is the return of a proper downtown wide parking management solution to the downtown. You will find paid meters in any successful downtown, and you will find every downtown but Pontiac has City owned parking. I just paid for parking at Ferndale City Hall using the same pay station as we have in our downtown as I attended a Woodward Dream Cruise board meeting. The loss of our parking meters meant the loss of dozens of jobs a year and millions in lost revenue, which led to more businesses closing every year. We have already seen some business increases since the meters were turned ON and enforcement began. Parking is not a simple equation, or basic process, that can be answered within a few short paragraphs. Years of learning what was needed specific to our own downtown, consulting discussions, reports, and learning what occurred in other cities across Michigan and the USA in order to build out our solution. Because if we didn’t, no one else was going to do it and save our downtown, and our downtown would have continued to die. The metering program will change over the next few years as the system and processes get constantly reviewed. Now that we have meters, and customers can park, the PDBA is building a new Business Attraction Plan now that we can provide parking for those businesses. And Business taxes and employee city taxes paid to the City benefit the residents of the City, as well as supporting the Mayor’s Buy Pontiac mortar as new services come into our City. 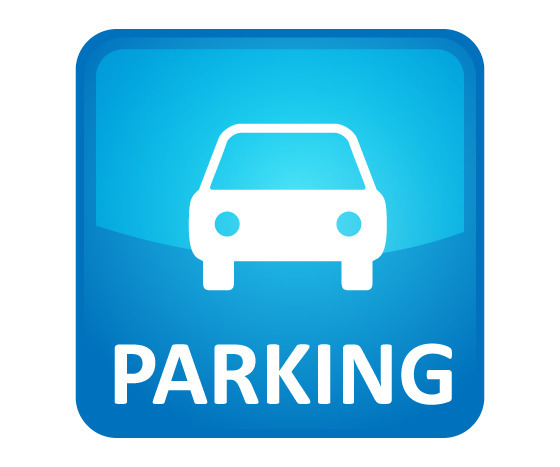 The on-street parking is $1/hr Mon-Sat 8am-11pm. If you pay by credit card you can enter your cell phone number, and the meter will text you 10 minutes before your time runs out, and you can add more time by responding to that text message. Coins are also accepted. For the tech savvy, we will also be launching Park Mobile support (Mobile app and web) soon. Please go to www.pontiacdba.com/parking for more information. We have had exponentially more positive feedback then negative feedback. We are still working with the private lot owners, addressing issues with them, adding signage, and offering assistance where we can. Since the PDBA contract with the City is for On-Street parking, parking lots and structures are not covered or effected. As mentioned before, discussing things of the past like “hillocks of snow” misleads the discussion and the progress made on key issues. The reason those snow piles occurred in 2013 during one of the worst winters in recent history and though part of 2014, was because there was no parking enforcement, which meant people parked on the street overnight illegally which prevented proper snow removal; combined with frustrated business owners not doing their job to remove snow and the City not issuing citations to the property owners for not clearing the snow. But stopped happening late this winter once we got parking enforcement reinstated and there were no “hillocks of snow” either because parking management was finally returning to downtown and the plows were not only able to plow the streets, but we were able to remove the mounds of snow from the sidewalks. This past winter our sidewalks were the cleanest in years with walk ways cut through banks if the banks had not been already been removed. Is there room for improvement… significant improvement, of course, and this winter will be the first that we have all the processes up and running before the snow hits. How to remove the snow piles from the curbs is the last major long running battle to be addressed but we solved it once last year so we are hopeful to have a final solution by winter this year. The City must also start issuing Citations to owners for not keeping their sidewalks clean, etc., since without teeth some individuals will ignore the greater good. See above, but I will restate that this past winter was the best the downtown has been in regard to snow removal in recent memory once parking enforcement started in late winter. With new processes in place now we are better prepared for this coming winter. At the same time, only the City can effect the major changes needed, insurance and legal issues prevents our non-profit organization for plowing; we need property owners involved or the City to use the ordinances in place to issue citations when needed. But ordinances do not cover snow banks, which is one issue we still discuss, but you will also remember that we removed most of our snow banks overnight this winter, but that is an ongoing issue since normal removal of snow banks is still not in place. But all sidewalks in the City of Pontiac must be cleared within a specific period after a snow fall (24 or 48hrs I think), otherwise the City can issue a notice of violation against that ordinance to the property owner or business. As mentioned above, parking enforcement returned late this past winter, it took a lot longer to get going than we all hoped and expected. The Sheriff started doing enforcement to ensure there are no vehicles parked on downtown streets between 3 and 6AM. This allows for snow plowing, street sweeping, and other maintenance issues to be addressed as needed. We also had to correct items with the snow removal contractor, among other issues. But we believe all those issues have been addressed and we continue to work on the snow bank issue, so you should see a better winter this year in downtown. Also, the PDBA has a stronger staff than ever before as we head into winter this year to help address this issues quicker in downtown. So as you can see, many things started going in place as we worked on getting the meters ready to turn on and all these things take a huge amount of time, money, and man power.